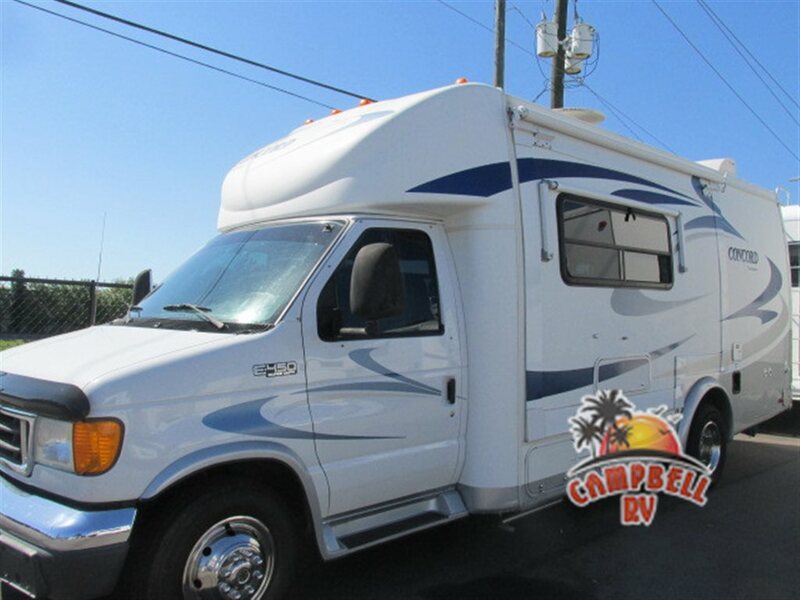 Campbell RV carries class C motorhomes that are some of the most versatile RVs on the market. Not only do they come packed with all the accessories and amenities as most Class A Motorhomes, they are also more maneuverable on the road and they get better gas mileage than Class A’s. And despite their smaller size, Class C Motorhomes are typically designed to sleep 6 or more comfortably. At Campbell RV, we are proud to carry used class C motorhomes that prove the point that a pre-owned motorhome is a great value. Our inventory of used RVs moves quickly, but some of our currenty in-stock Class C motorhomes include this Coachmen RV Concord with a floorplan perfect for travel. 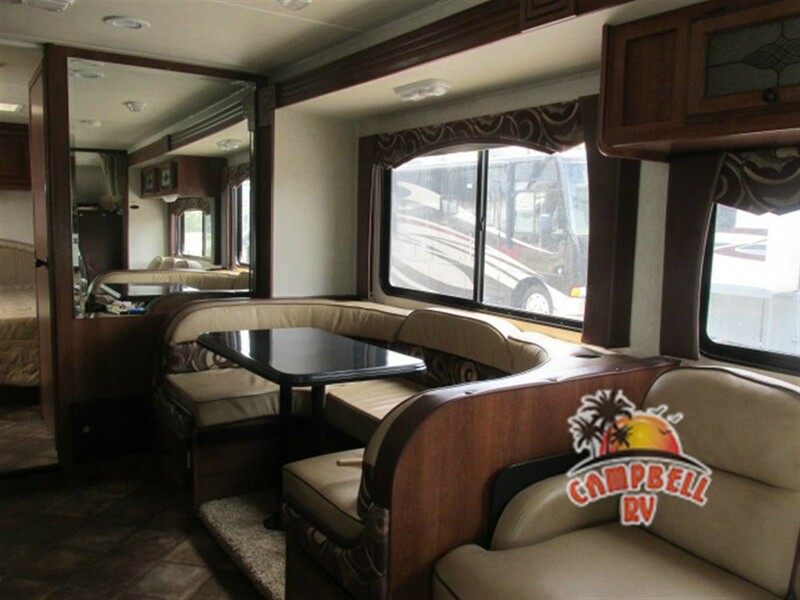 Measuring just over 24′, this Concord features a living room slideout with a sofa-bed and closet instead of a separate bedroom which makes room for a dinette, rear corner kitchen, full bath and an overcab entertainment center. Perfect for a single road warrior or couple and priced to move. Click here to view the floorplan and pictures. Check out the awesome features of the Coachmen RV Concord Class C Motorhoe. Another currently in-stock Class C motorhome is this beautiful Leprechaun that comes with all the bells and whistles! The private queen bedroom includes a slideout wardrobe, private bath with shower, a spacious living area with sofa, dinette and full kitchen, plus an over-cab bunk. See the floorplan here. Now for the bells and whistles: Corian counters and dinette table, mirrored wardrobe doors, living room fireplace and TV, bedroom TV, and a full entertainment center with TV outside. Pull out the awnings and get comfortable! Click here to see this Leprechaun! Click here to see all the Class C Motorhomes that we currently have in stock, but remember that our inventory changes quickly. If you don’t see what you’re shopping for, Contact Us and let one of our experienced RV professionals help find exactly what you’re shopping for. You can also get driving directions to our dealership so that you can see our products first-hand. Or, if you have any question or inquiries or are interested in making an offer, you can contact us today for more information!